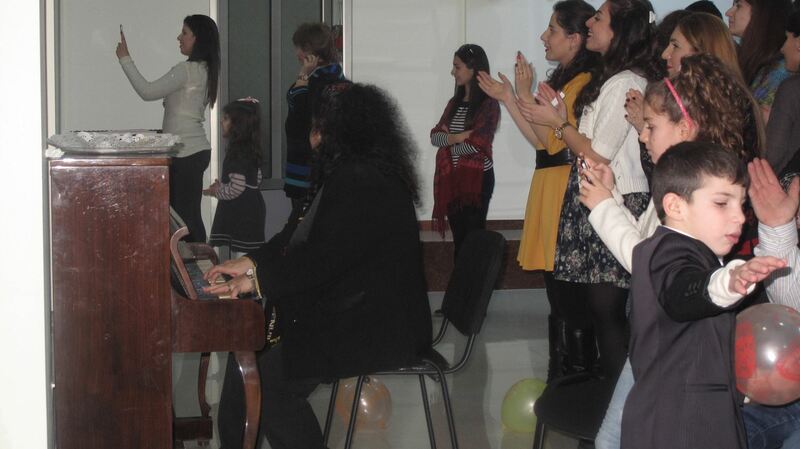 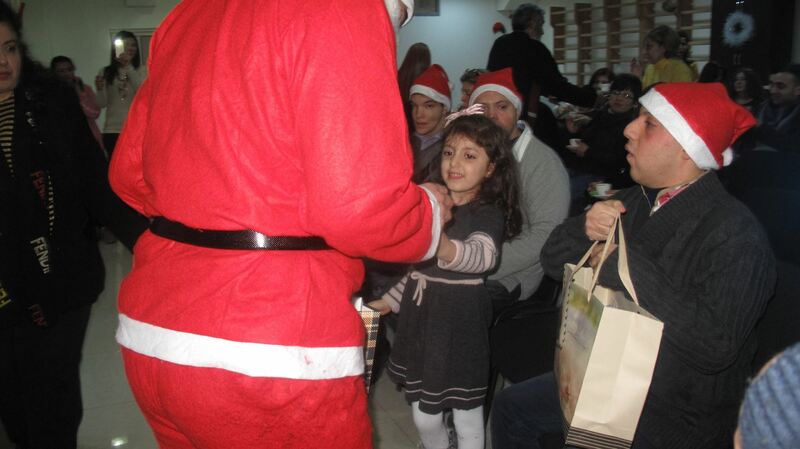 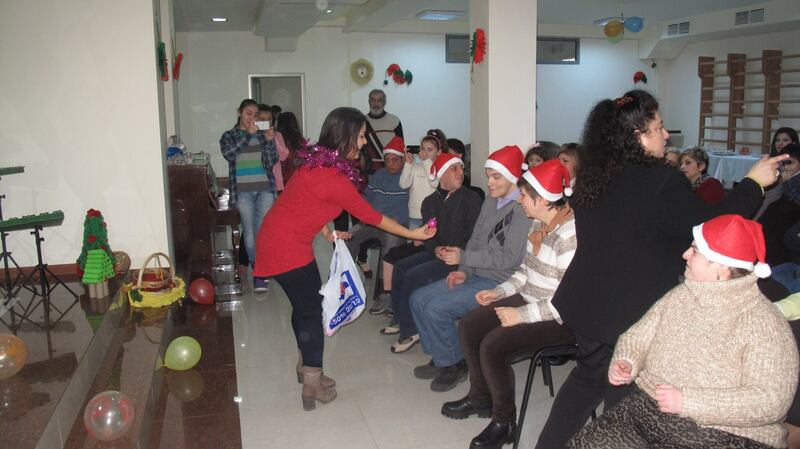 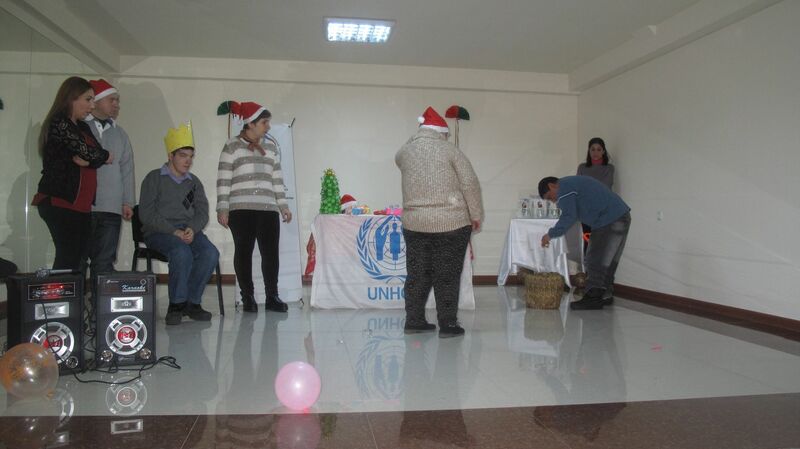 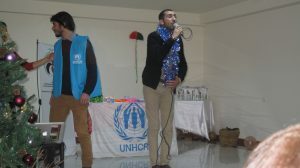 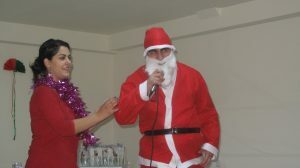 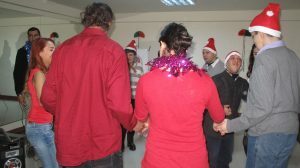 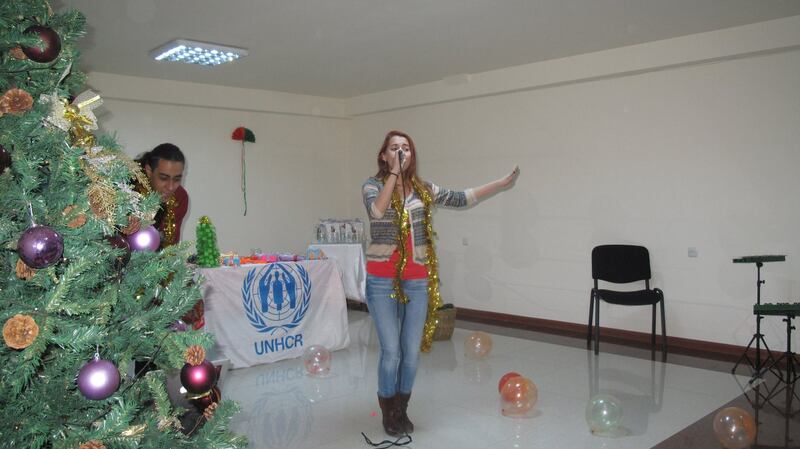 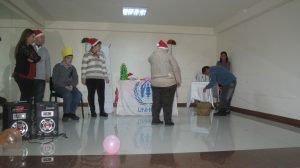 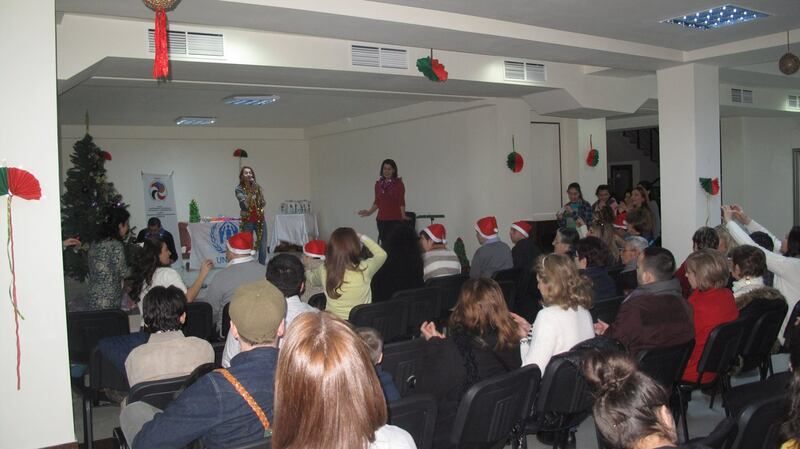 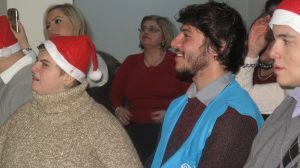 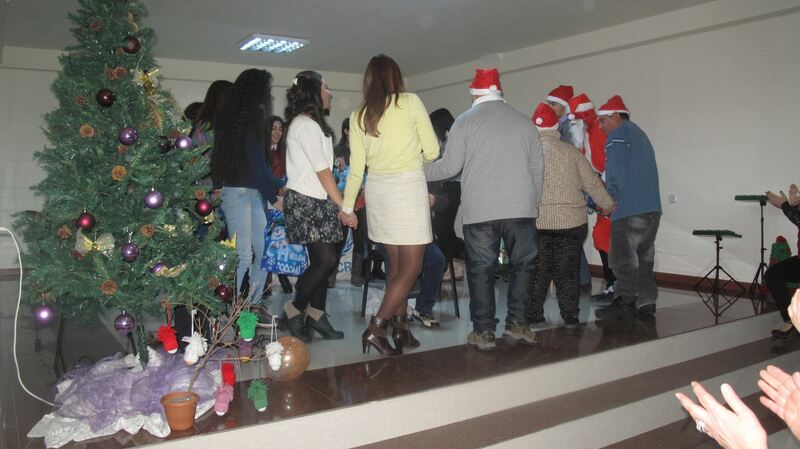 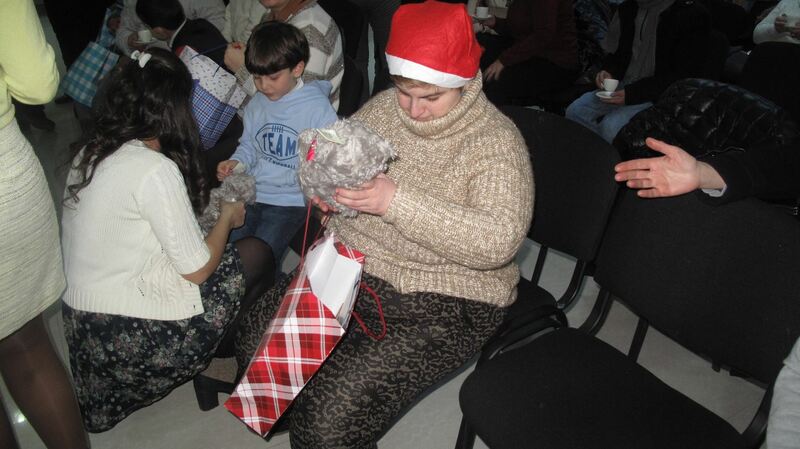 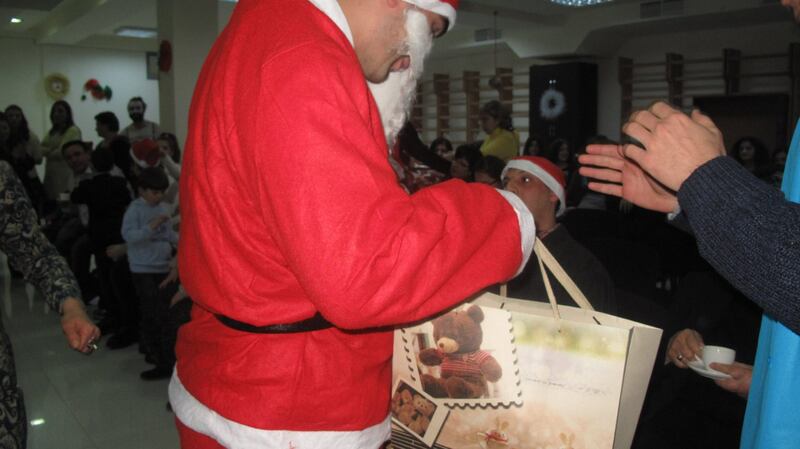 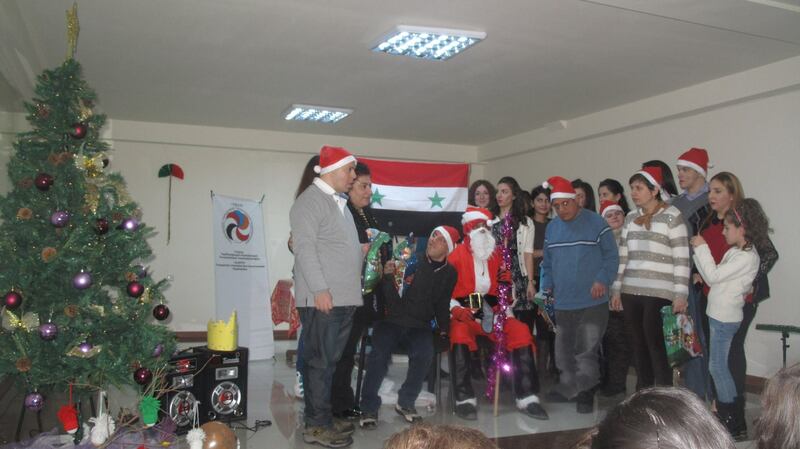 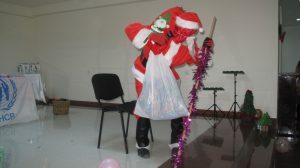 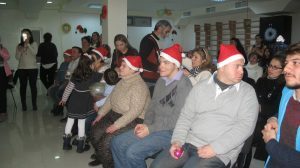 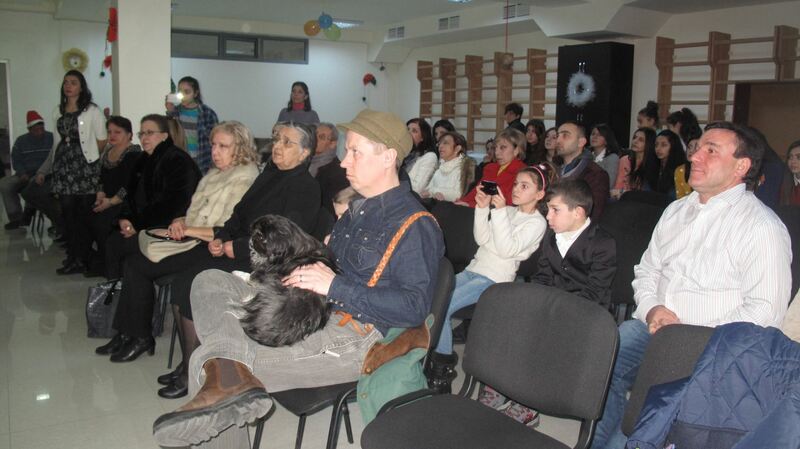 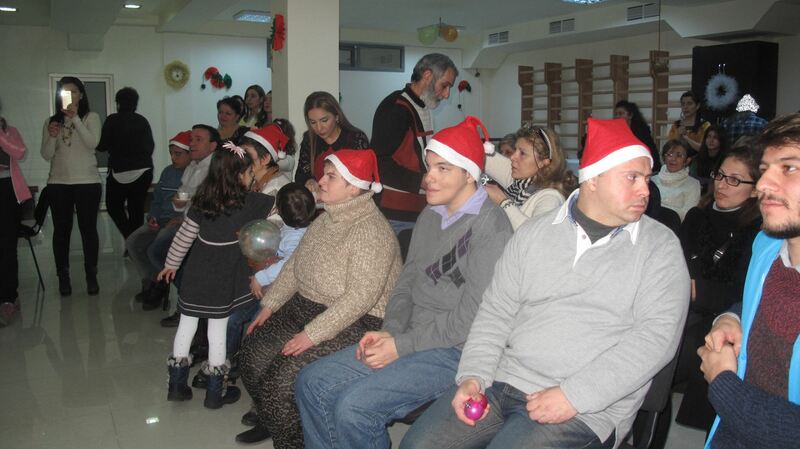 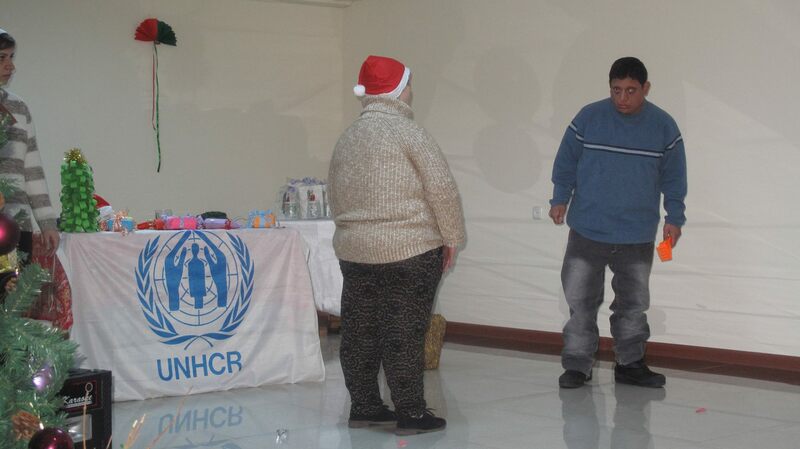 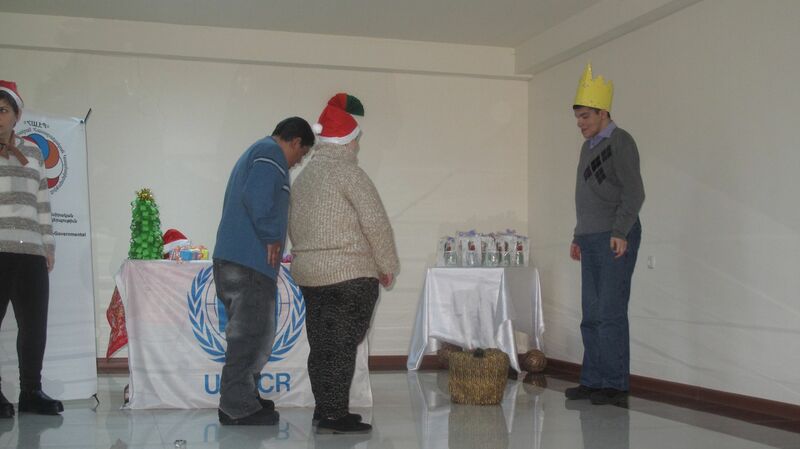 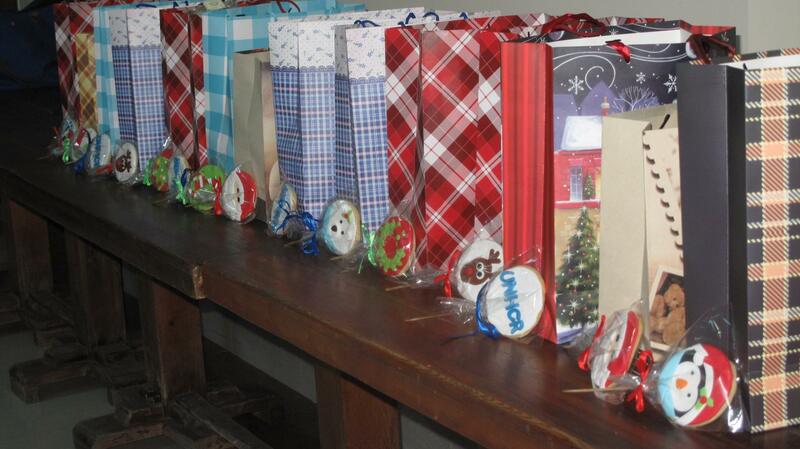 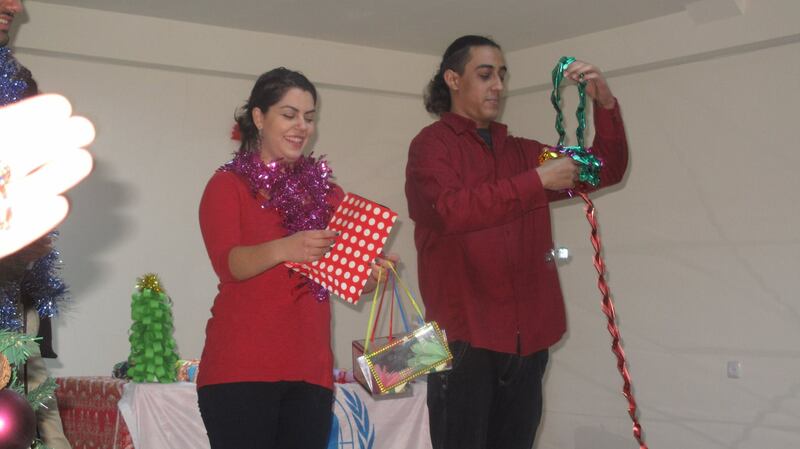 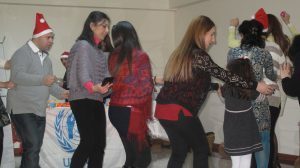 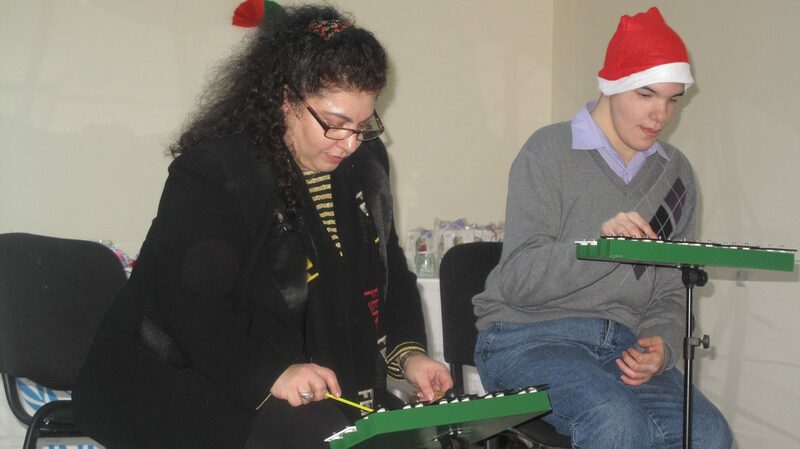 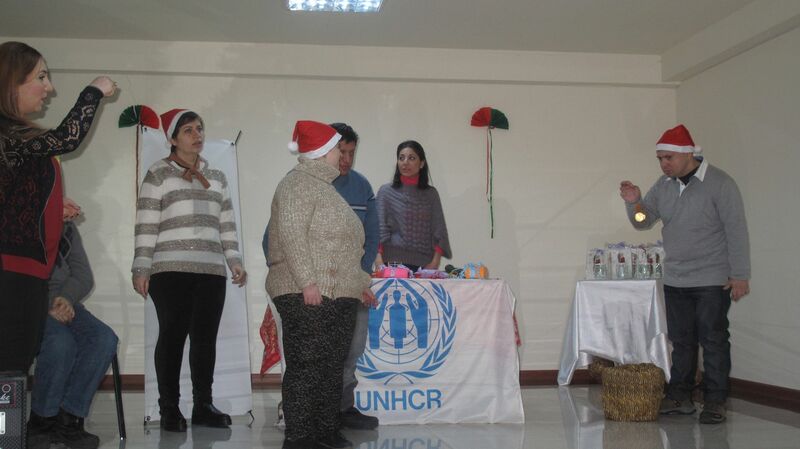 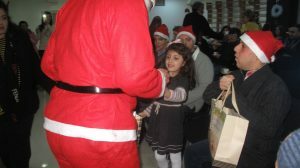 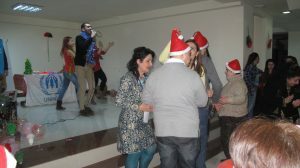 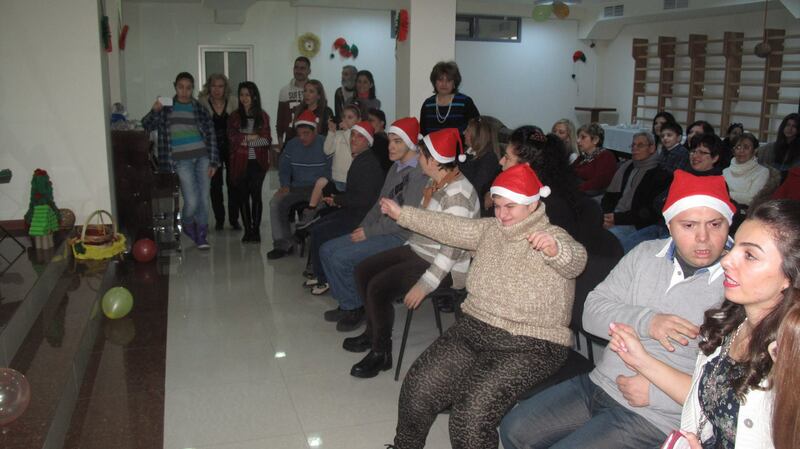 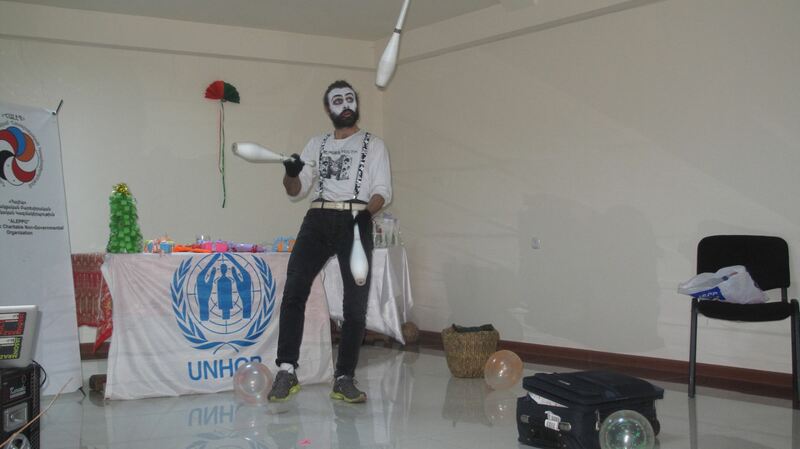 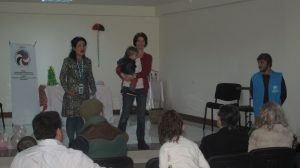 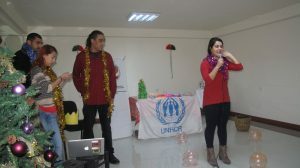 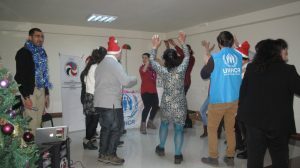 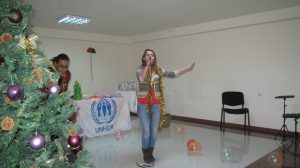 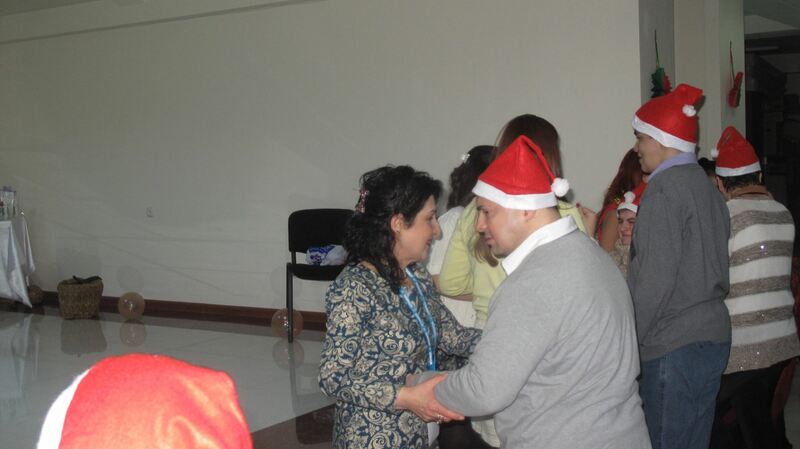 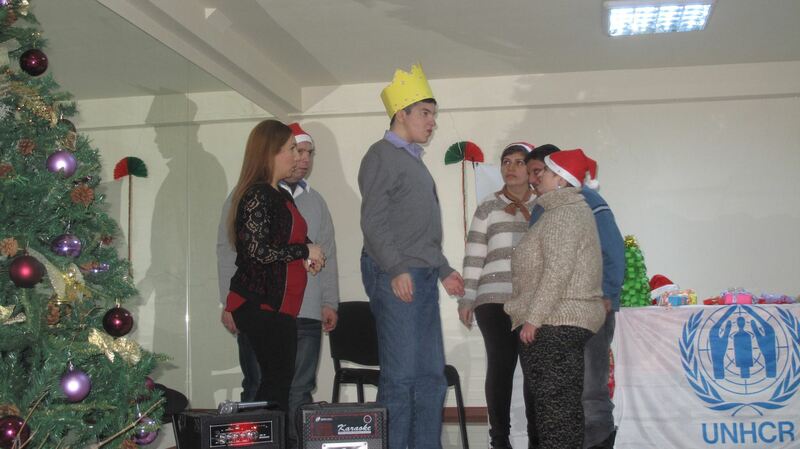 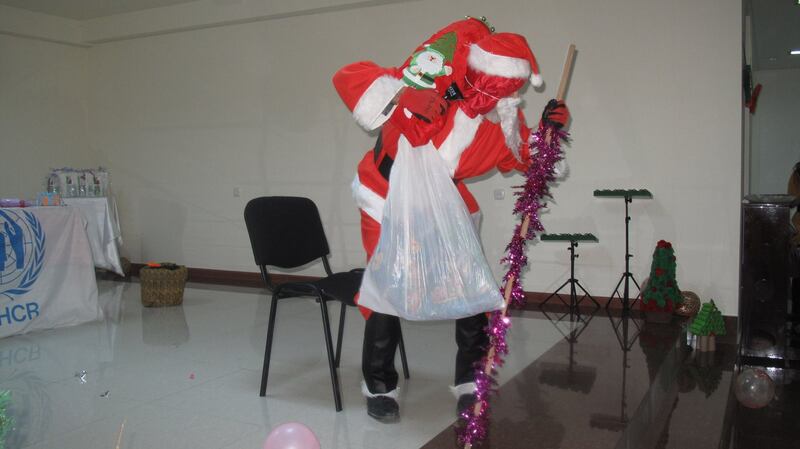 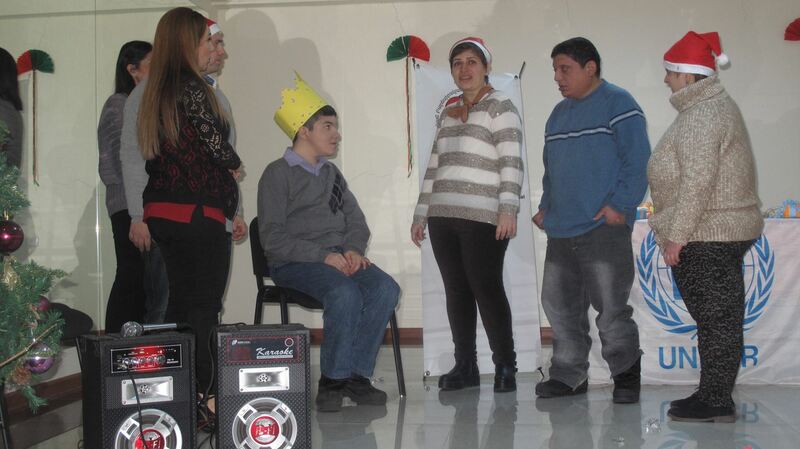 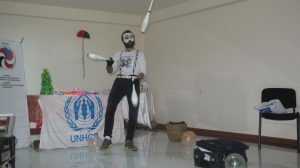 On December 25, 2015, “Aleppo” Compatriotic Charitable Organization along with UNHCR Armenia organized a New Year Celebration for “Aleppo” organization’s “Arevik-Armenia” Center for Syrian-Armenian children and adults with special needs. 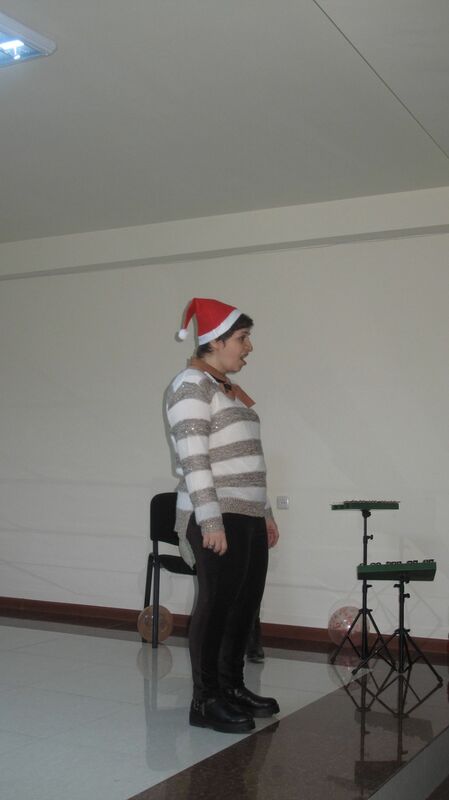 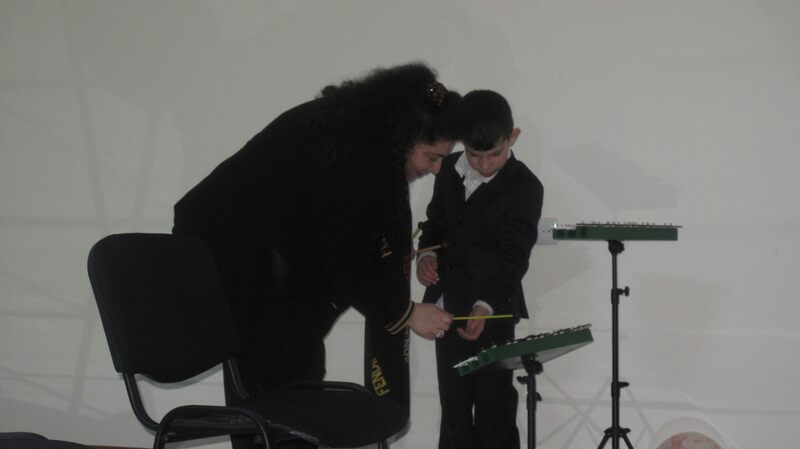 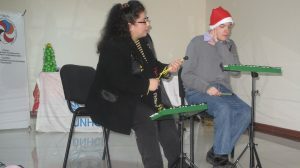 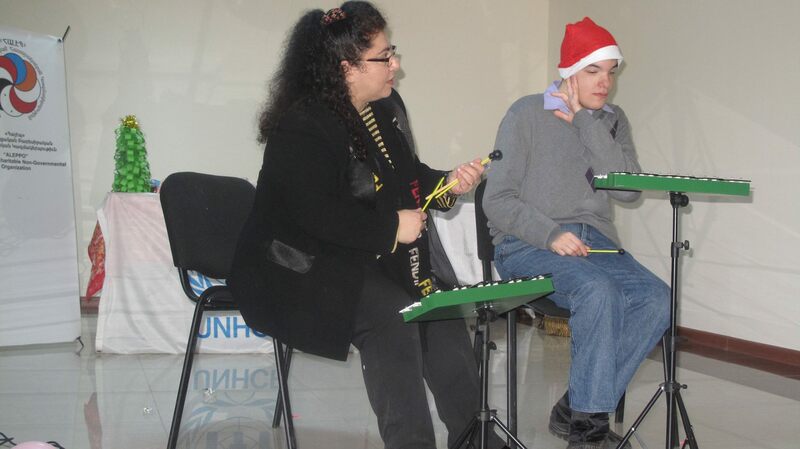 Syrian-Armenian children and adults with disabilities performed for the guests and gave their best wishes for the upcoming New Year. 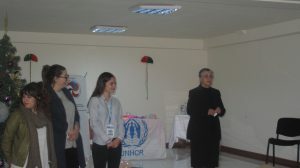 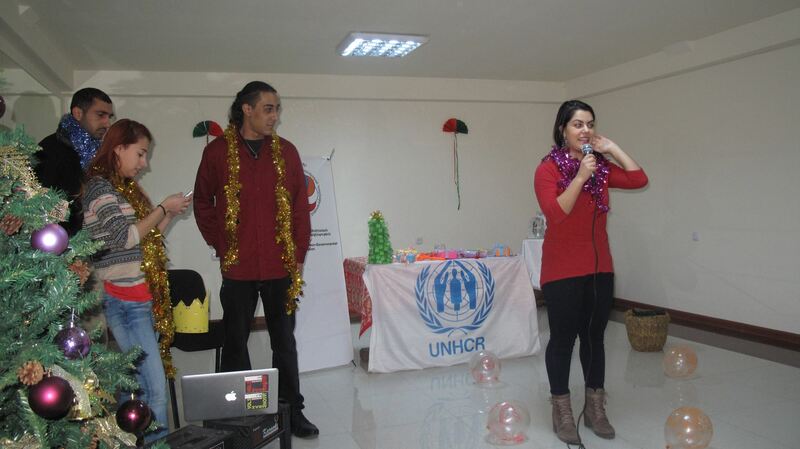 Representatives of “Birthright Armenia” Foundation, Ms. Kate Pochapsky, UNHCR Officer in charge, Ms. Anahit Hayrapetyan, UNHCR External relations coordinator attended the event, and made a welcoming congratulatory remarks on the New Year and Christmas Holidays. 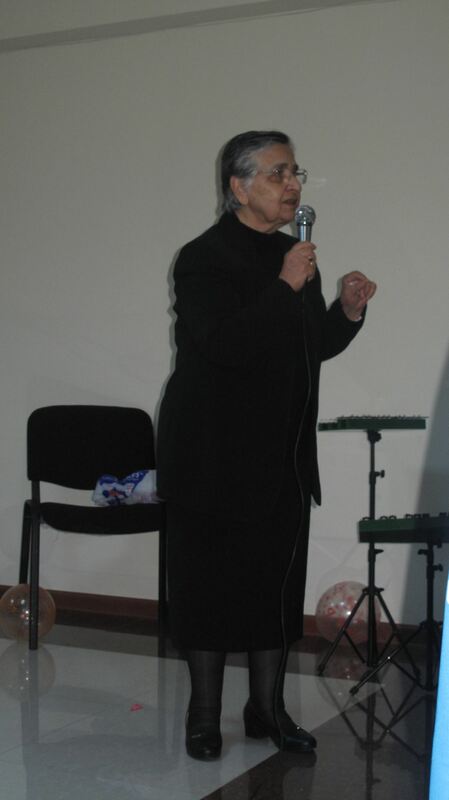 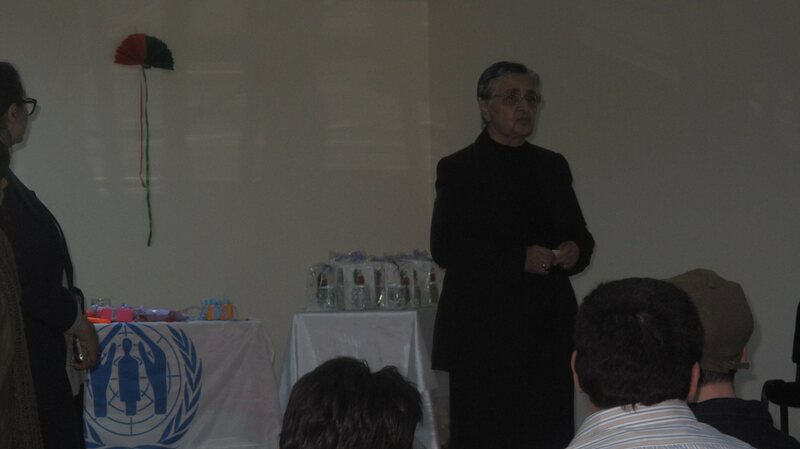 The chairman of the board of the trustee of the “Arevik-Armenia” Center, Mrs. Lusine Shohmelian, also welcomed and congratulated children and adults with disanilities. Members of the “Birthright Armenia” foundation organized fun games and songs and made the event more joyful. At the end of the event “Arevik-Armenia” Center’s children and adults received gifts, prepared by the joint efforts of the “Aleppo” CCO and UNHCR representatives.